choco loco is a Swiss online shop for the finest chocolates, with products from the best chocolatiers in Europe. 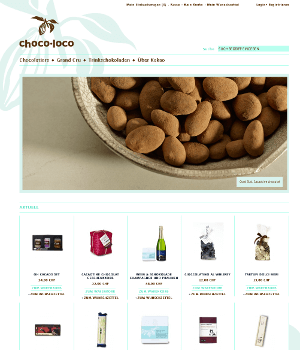 Ilscipio implemented choco loco during the relaunch of the online shop based on Magento Go. The design of the shop has been completely redesigned in accordance with the CI and thus fits perfectly with the exclusive chocolates from choco loco.